Spencer’s operates over 650 stores throughout the United State and Canada. The company has strong operating disciplines combined with unique merchandising. Their core belief is that life’s a party and their making it fun. 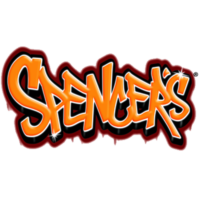 To get started searching for Spencer’s jobs, click the link provided under Job Links and fill out a Spencer’s application. In 2006, Spencer’s began its “Spirit of Children” program, which raises donations through its Spirit Halloween stores. The proceeds go to children’s hospitals in Canada and the United States and pays for Halloween parties for sick children. Since 2007, the program has raised over $16 million for over 130 children’s hospitals. Spencer’s also does fundraising for three organizations dealing with cancer in patients under the age of 40. Since 2008, the company has collected almost $2 million to support organizations which work toward prevention, education and support of young people with cancer. This company boasts a fun, energetic, and fast-paced atmosphere. This is an excellent way to get started in the retail industry. You can apply for jobs at Spencer’s online or go into your local store and ask for a direct application. There are many different Spencer’s jobs available at store level and above. The retail location positions include Store Manager, Assistant Manager, Sales Supervisor and Sales Associate. Other Spencer’s careers include being awarded a Corporate Internship. The internship positions include Buying, Supply Chain Management, Visual Marketing and more. If hired from the internship or wanting to work in the corporate office, there are careers in finance, logistics, and human resources. All positions have a minimum age requirement of 18 years old. The company offers associates a 25% discount on merchandise at Spencer’s and Spirit Halloween Stores, competitive salary and career advancement opportunities. Associates who are eligible also receive a benefits package that includes vacation and sick pay, medical and dental insurance, as well as 401k. Corporate Interns receive full-time paid internship, full access to new facility which includes a new gym, catered cafeteria, and WIFI throughout the building; as well as breakfast with the Corporate Executives including CEO and CFO. How to apply for Spencer’s jobs online is easy. You simply click the link for Spencer’s jobs online, choose the position that you are interested in, and fill out the Spencer’s application. Or you can get a printable application for Spencer’s by going to your local store and applying in person. The hours of operation are Monday through Saturday, 10:00 am to 9:00 pm and Sundays from 12:00 pm to 6:00 pm. Store Manager – The Store Manager is responsible for driving sales performance by controlling inventory loss, labor cost, and ensuring that the store is maintaining a fun atmosphere in order to drive sales. Other responsibilities include recruiting, hiring, and developing store associates, as well as motivating, coaching and counseling team members. Assistant Manager – This role assists the Store Manager in providing leadership and support to the store associates as well as helping to complete all sales and inventory paperwork. The Assistant Manager also serves as the direct manager when the Store Manager is absent. Sales Supervisor – This position is responsible for effectively merchandising and pricing the store while assisting the rest of the management team in completing paperwork, inventory and other management duties. Sales Associate – The Sales Associate is responsible for demonstrating and selling merchandise while providing exceptional customer service. Other responsibilities include assisting with stocking merchandise and keeping the store clean. The following questions are standard interviewing questions for the retail industry. Will you describe yourself in one word? Make sure your response will highlight one of the reasons why they should hire you. Some examples would be outgoing, honest, energetic, and caring. Can you tell me about your previous jobs or any volunteering you have done? Only focus on areas that are customer service oriented. This can include volunteering for a soup kitchen or food pantry, working with the disabled or elderly, restaurant experience, etc. Do you have any sales experience? Even if this is your first job, most likely you have some kind of sales experience. This experience can come in the form of gathering donations for your school by selling candy, magazines or seasonal items. If this isn’t your first time working, then sales experience can be from upselling a menu item, such as fries or a dessert. What would you do if you knew a coworker was stealing from the store? This is an important question because retail stores are known for high theft rates and most of those thefts are committed by employees. The incorrect answer would be to do nothing. Before the interview, think about reasons why you would want to work at Spencer’s and think about what your strengths and weaknesses are. When thinking about your weaknesses, think about how you may have or can overcome those weaknesses. Also, think about questions that you may want to ask the interviewer. If this is the first time interviewing for a position, get someone that has gone through the interview experience to do some mock interviews with you. Practice your answers and asks the person for feedback. This will help boost your confidence and allow you to be more natural at the actual interview. On the day of the interview, dress in business attire that has been ironed. Even though Spencer’s has a relaxed atmosphere, you want to make an impression with the interviewer. By dressing in business attire, you will also standout in the interviewer’s mind as someone that may want to have rapid career advancement. Make sure that you are clean shaven, hair is neat and makeup is kept to a minimum. Arrive a little bit early and make sure that you have prepared by bringing a resume and any awards or certifications with you. When responding to interview questions, make sure you are clearly highlighting your abilities, skills and experience. Showcase your personality by being enthusiastic, keeping eye contact, and smiling. Acknowledge the hiring manager appreciatively at the conclusion of the interview and ask when a follow up could be expected.